Dear Aspirants, Here we have given the Important RRB ALP & Technicians Exam 2018 Practice Test Papers. 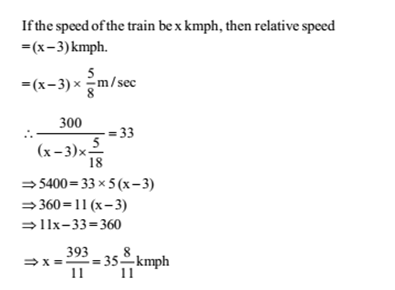 Candidates those who are preparing for RRB ALP 2018 can practice these Arithmetic Questions to get more confidence to Crack RRB 2018 Examination. Let the CP be Rs.100. 5. What must be added to each term of the ratio 7: 11, so as to make it equal to 3: 4? 6. The line passing through (–2, 5) and (6,b) is perpendicular to the line 20x + 5y = 3. Find b? 8. The mean of 50 numbers is 30. Later it was discovered that two entries were wrongly entered as 82 and 13 instead of 28 and 31. Find the correct mean. What must be added to each term of the ratio 7: 11, so as to make it equal to 3: 4? The line passing through (–2, 5) and (6,b) is perpendicular to the line 20x + 5y = 3. Find b? The mean of 50 numbers is 30. Later it was discovered that two entries were wrongly entered as 82 and 13 instead of 28 and 31. Find the correct mean.